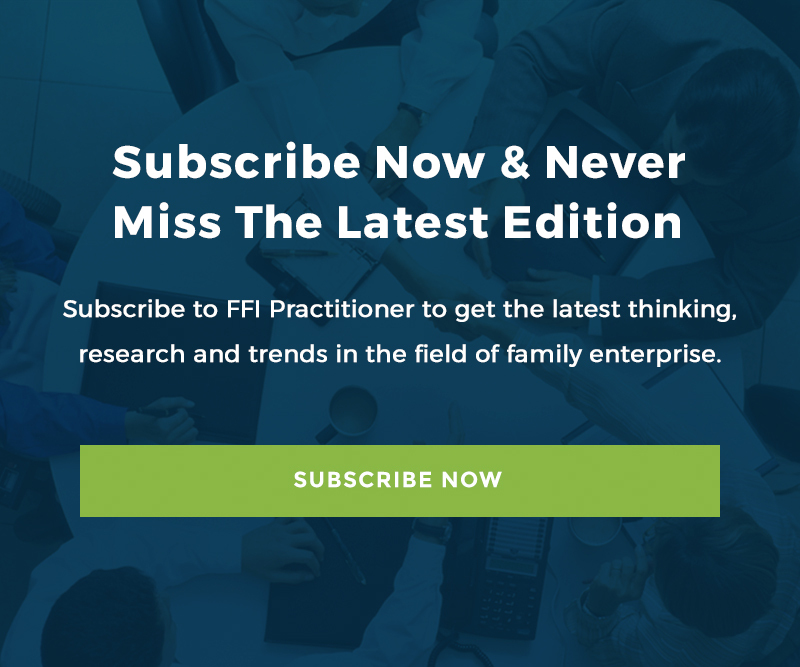 This week’s Practitioner focuses on cases and ways they are being used in the field by educators and practitioners as they work with and study family enterprises around the world. This issue is the second in a series of three interviews with keynote presenters at the FFI global conference, October 8-11 in Washington, DC. In this week’s issue Maya Prabhu, who is managing director of the Coutts Institute, Coutts & Co. in London and also runs the Coutts Forums for Philanthropy, interviews Peter Buffett about his unique upbringing.